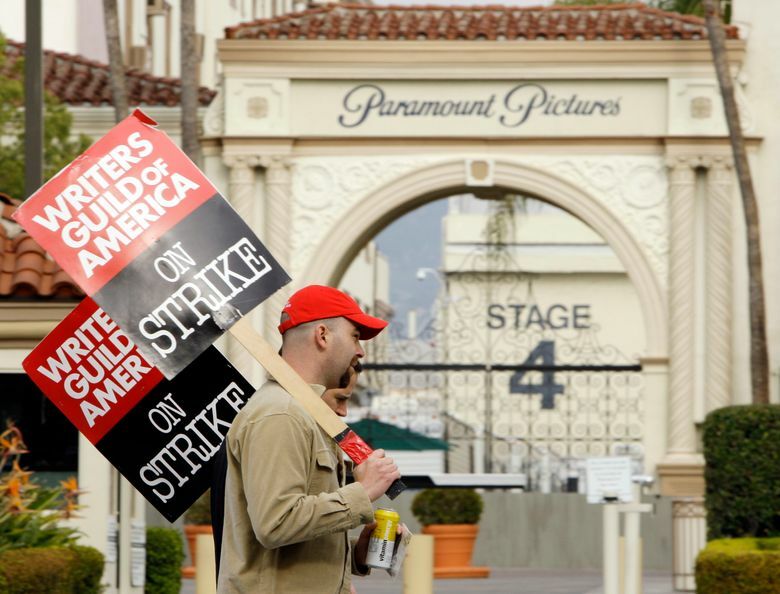 AP Explains: What will a Hollywood writers’ strike mean? 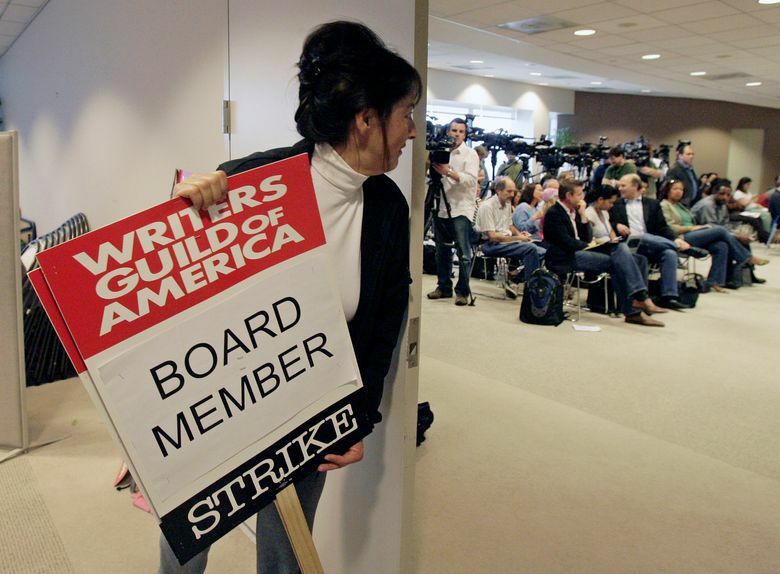 LOS ANGELES (AP) — Hollywood is facing a cliffhanger after members of the Writers Guild of America voted overwhelmingly to authorize a strike that could begin as soon as next week. The previous writers’ strike lasted 100 days in 2007-08 and was costly to the businesses that serve Hollywood and to consumers expecting to be entertained. A walkout’s impact would come in waves and affect different parts of the industry differently. Here’s a look at how it could play out if writers trade their laptops for picket signs. According to the WGA, which has about 20,000 members, median earnings for writers dropped between the 2013-14 season and 2015-16, and more and more scribes are finding it difficult to make a living under current deals. In the 2007 walkout, shows including NBC’s “Tonight” and CBS’ “The Late Show with David Letterman” went dark for two months. They returned during the strike either without writers or, in Letterman’s case, with a separate guild deal through his production company. That won’t be an option for CBS’ current “Late Show” host, Stephen Colbert, because a CBS entity now produces it. The slower pace of film production, where it takes up to three years or more for the biggest movies to be made, means a strike wouldn’t cause as much immediate havoc in the movie business. But it would still greatly alter the well-ordered pipelines of Hollywood productions, big and small. The 2007 strike affected the making of movies like “X-Men Origins: Wolverine,” the James Bond film “Quantum of Solace” and “Transformers: Revenge of the Fallen.” All of those films received poor reviews, and many of the filmmakers and stars involved later said the movies simply didn’t have the screenplay or the writers that they needed. Screenwriter and WGA member David Atkins, who teaches film and TV at Quinnipiac University in Connecticut, said he’s feeling the squeeze already. 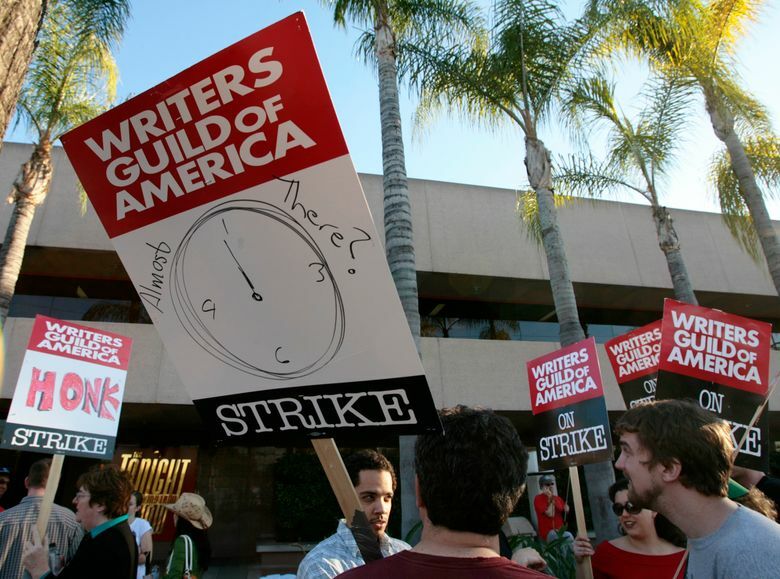 The 100-day writers’ strike that started in late 2007 cost the economy in the Los Angeles area around $2.5 billion, according to estimates at the time. The entertainment industry at that time contributed $58 billion a year for the area’s economy. That has grown to $83 billion as of 2014, according to a report by Los Angeles County’s Economic Development Corp. The producers group on the other side of the bargaining table said the 2007-2008 strike meant $287 million in lost compensation for writers. CBS said then that TV ad revenue fell 15 percent, hurt by the strike and other factors. But Walt Disney Co., which owns ABC, said international sales of shows offset ad-sales losses. AP Film Writer Jake Coyle and AP Technology Writer Tali Arbel in New York contributed to this report.